With this one, I especially enjoy the zig zag line of the three “right” tables. And some sense of planed wood for the tables contrasted against the organic thick tree trunks. Wow, the more I look, the more I see and enjoy – now seeing the concrete circles the tables sit on in contrast to the curvy path on the left. Thank you Ryl for sharing what you see. 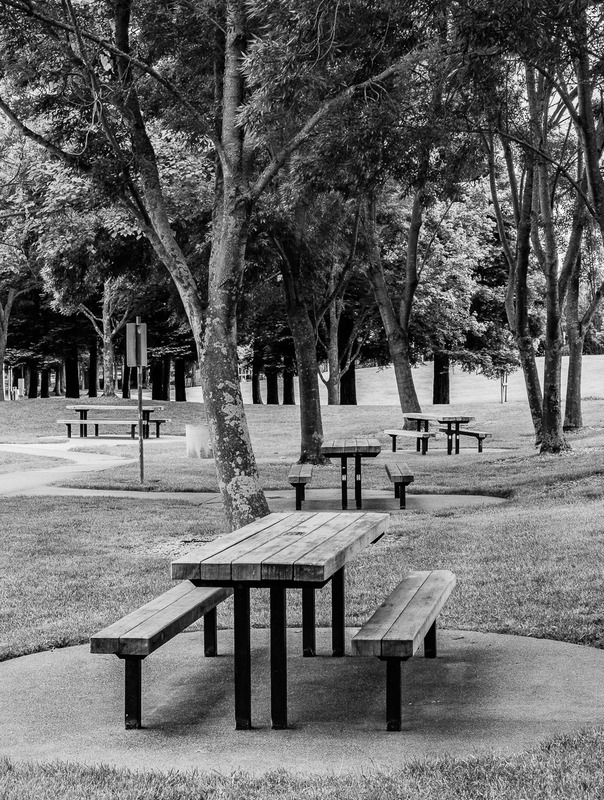 I especially enjoy your thoughts about the contrast between the planed wood of the tables and benches and the trees. I was actually thinking of this when editing the photo. I was contemplating on the relationship between trees and tables, and if they had a conversation what would they tell each other. A sense of cycles and continuity, inter relatedness.